Mon 27th Oct – 19:00 – £12.00 Adv. Wed 29th Oct – 19:00 – £10.00 Adv. 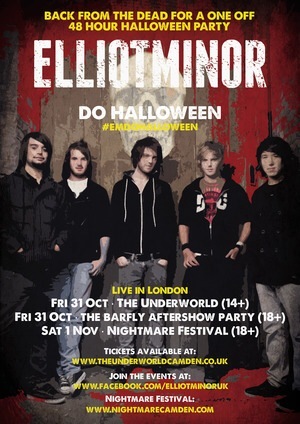 Thu 30th Oct – 19:00 – £14.00 Adv. Fri 31st Oct – 18:00 – £15.00 Adv. Sat 1st Nov – 12:00 – £20.00 Adv.